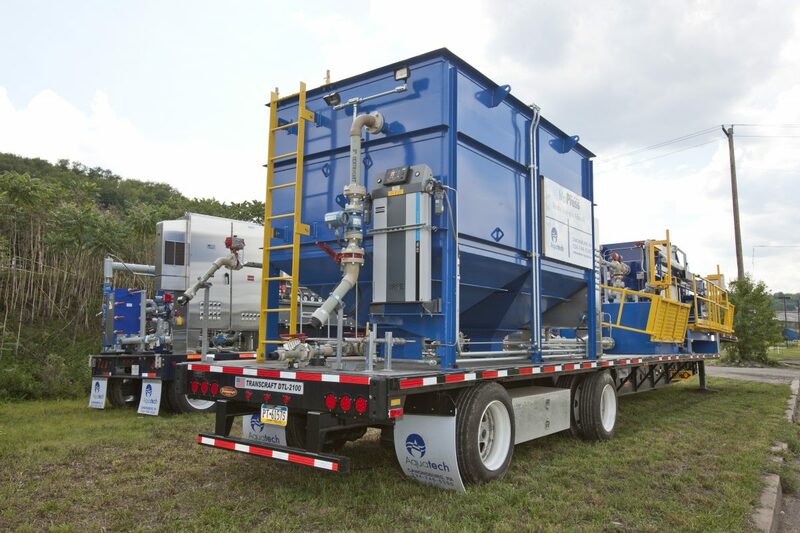 Consisting of specific process units (MoTreat®, MoMix®, MoPress®, and MoVap®), the MoSuite™ Mobile Water Treatment family has been designed by Aquatech for on-site and satellite coal seam methane gas recovery. 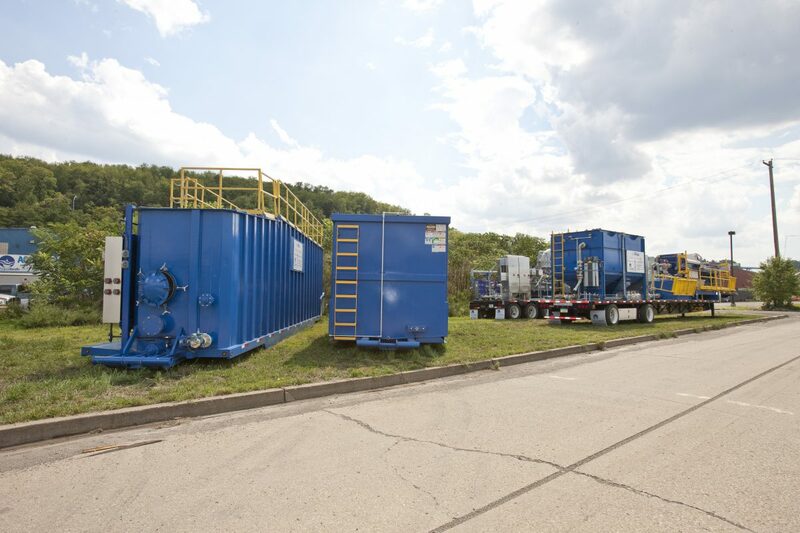 The various equipment units work in tangent to optimize the water treatment process, yielding water that can be recycled and reused without the need for costly trucking to off-site facilities. 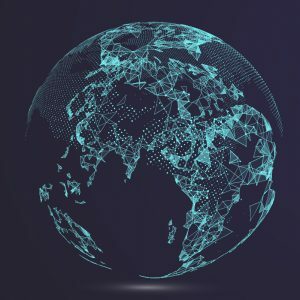 Therefore, Aquatech is your single source provider of multi-tier, sustainable, and cost effective treatment solutions for flowback and produced water at the well pad. 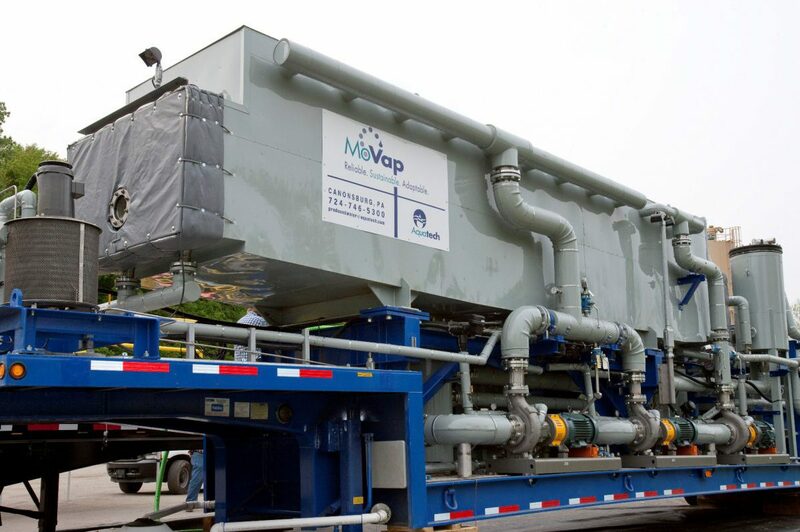 MoVap provides a mobile solution to treat ﬂ owback water on-site at the well pad area to yield an ultra clean water with total dissolved solids (TDS) less than 500 ppm which enables recycle and reuse without the need for costly trucking to off-site treatment facilities and enables the reduction of wastewater volumes for further reduced costs for disposal. 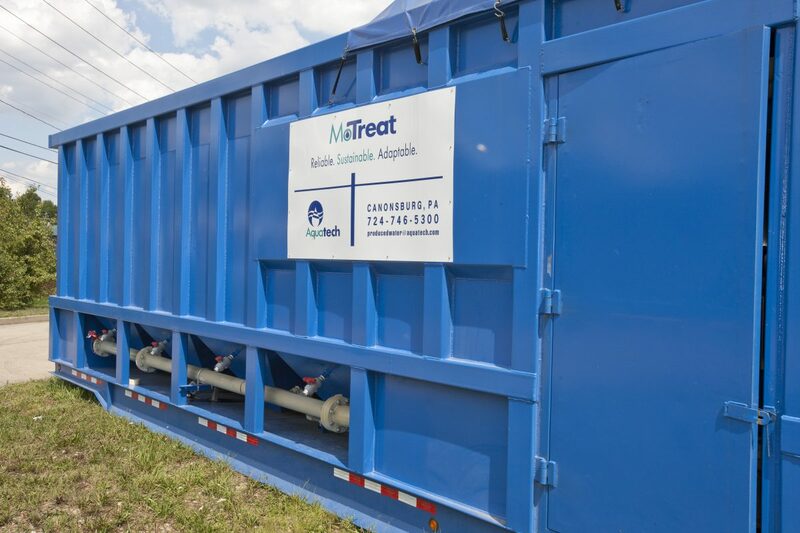 MoTreat provides a mobile solution to treat ﬂ owback and produced water on-site at the well pad area to yield water with minimal total suspended solids (TSS) which enables recycle and reuse without the need for costly trucking to off -site treatment facilities. 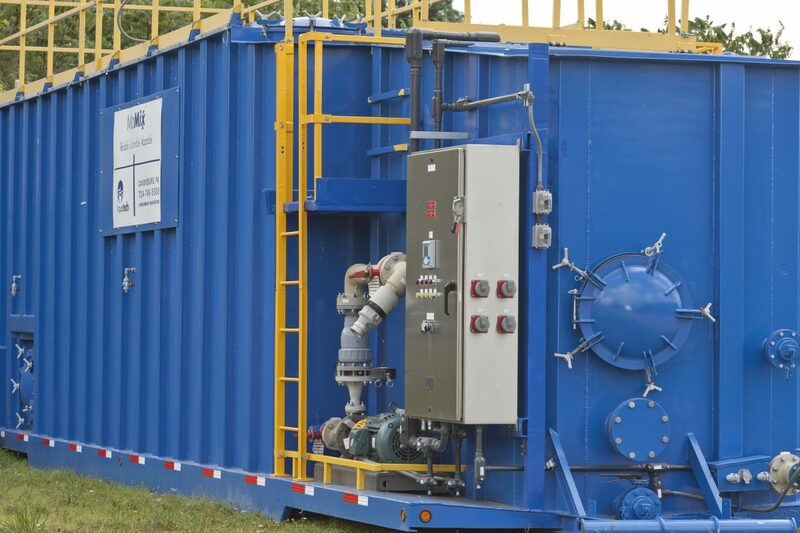 Utilizes a sludge thickener and sludge plate and frame filter press. The thickener increases the concentration of the sludge via settling while allowing clean effluent to flow off. The filter press drastically dewaters the sludge, separating the relatively clean filtrate from now a much higher % solids filter cake. The sludge / filter cake is then dumped and taken off site for disposal.